Women's Health Hospitalists, an exciting new subsidiary of Women’s Care Florida is seeking to employ a Full-time Board Certified OB-GYN Hospitalist in multiple Florida cities with at least 3+ years of post-residency experience to join our prestigious group. The OBGYN Hospitalist will manage labor and delivery of both private and unassigned patients as well as coverage to the ER. 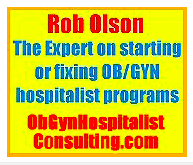 The OBGYN Hospitalist will provide patient Point of Care and manage OB-Gyn Emergencies and antepartum services. 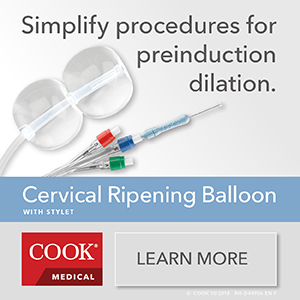 Intensive care services allow physicians to care for even the most critically ill obstetric patients. Responsibilities will include delivery attendance for community OBs and emergencies, as well as OB triage, patient evaluation sand management, surgical assists, fetal monitoring and ED coverage. Located on east central Florida’s Space Coast, Melbourne is a growing and thriving community with small-town charm. The area provides a multitude of cultural and recreational activities including boating, fishing, golfing and 33 miles of unspoiled beaches. The Brevard Public School district is the tenth largest school district in Florida and the 47th largest district in the U.S. The cost of living is affordable and there is no state income tax. Florida Hospital, one of the largest healthcare providers in the U.S., is seeking a team of experienced Obstetrician/Gynecologists to launch an OB hospitalist program at four of its hospitals in Central Florida (Orlando, Winter Park, Altamonte Springs, Celebration). Together these hospitals provide obstetrical care to over 11,000 women annually, and each site includes a Level 2 or Level 3 NICU. Responsibilities of the Ob Hospitalists include provision of in-house obstetric coverage for unassigned and emergent obstetric patients; act as surgical assist to staff Ob/Gyn physicians upon request; manage and cover the Ob Triage unit; accept and manage maternal transfers; and provide appropriate oversight and clinical teaching of medical students, family medicine residents and other learners. A motivation to increase patient safety and elevate patient satisfaction, along with dynamic communication skills and the ability to fit within the mission and vision of Florida Hospital, are required. Ob Hospitalists will work 15 12-hour rotating day, night and weekend shifts. Competitive compensation (with bonus potential) and comprehensive benefits are provided. Florida Hospital is ranked as the #1 hospital in Metro Orlando by U.S. News &amp; World Report, and is ranked #13 in the nation in Gynecology. For more information, visit www.floridahospital.com/women. For consideration please submit CV to [email protected]. EmCare is seeking an OB/GYN Hospitalist for Broward Health Medical Center in downtown Fort Lauderdale, FL. Join our stable, collegial group of 8 OB/GYN Generalists, 8 CNM's and 2 MFM's at Broward Health Medical Center in downtown Fort Lauderdale, FL. 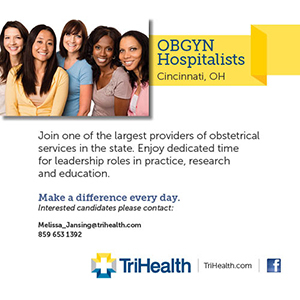 Successful candidates must be BC/OB/GYN with high risk experience. Description: Mednax will be introducing an OB Hospitalist program at Holmes Regional Medical Center in Melbourne, Florida at the end of this year. If you are an ABOG certified, or eligible OB interested in working in a hospital setting with a defined 12, or 24-hour schedule, please consider this opportunity with our national medical group. 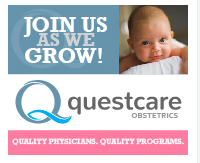 As part of the team, you'll be affiliated with our Obstetrix team of MFMs and sonographers. Responsibilities will include delivery attendance for community OBs and emergencies, as well as OB triage, patient evaluation sand management, surgical assists, fetal monitoring and ED coverage. Located on east central Florida's Space Coast, Melbourne is a growing and thriving community with small-town charm. The area provides a multitude of cultural and recreational activities including boating, fishing, golfing and 33 miles of unspoiled beaches. The Brevard Public School district is the tenth largest school district in Florida and the 47th largest district in the U.S. The cost of living is affordable and there is no state income tax. Professional liability insurance and assistance with mandatory hospital credentialing and state licensing, and reimbursement of associated fees. 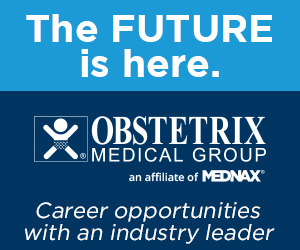 To apply for this opportunity or learn about other locations, please visit www.obstetrix.com/clinicalcareers or contact us (below). My name is Rodney Capiro and I am an GYN generalist. I completed my training in GYN in 1997 and since that time have enjoyed my career in various practice settings. I have spent most of my career working in a hospital setting, providing both out-patient and in-patient care. In my current situation I am primarily an employee of an out-patient organization. 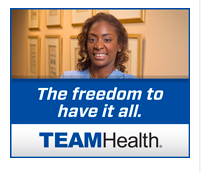 Yet, I do provide obstetrical and gynecologic coverage in the hospital for patients registered with the organization. I have reached a season in my life where personal time has become increasingly more important. I am seeking an opportunity that will provide an improvement in life-work balance. I am not interested in out-patient practice. I am not interested in administrative/managerial work, despite my current title with my current employer. 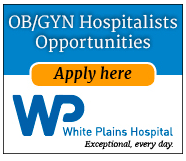 I am interested in a position as an obstetrical hospitalist or an GYN hospitalist as defined recently by the Society of Obstetrics and Gynecologic Hospitalist. The expectation of working schedule shifts within the hospital setting without the additional responsibilities that come with administrative duties and/or clinic duties is appealing. I do believe that it is a model of care designed to provide the highest level of quality and safety in obstetrical and gynecologic care. I am confident that my work ethic, commitment to quality and experience will prove me to be a valuable asset to any hospitalist program. I respectfully request your consideration in providing me an opportunity to become a part of your hospitalist team.